Applications to study courses at the University of Pretoria open on the 1st of March for study the following year. It is too late to apply now but you can register at the university clearing house. If you would like to study a degree course it would be good to apply via the clearing house. 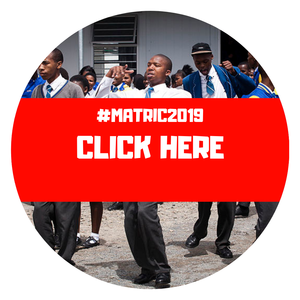 The clearing house will match your matric marks to the courses that are still available at universities across the country. If you qualify for a course that still has places available the university will contact you. The University of Pretoria (UP) is the university with the highest research output in South Africa – and has degree courses for undergraduate and post-graduate students. With six campuses and a number of other sites, such as the Pretoria Academic Hospital, UP accommodated more than 57 000 full time and distance learning students in 2008 – the largest residential university in South Africa. From its nine faculties and one business school (The Gordon Institute of Business Science), UP is able to offer more than 1800 academic programmes in two official languages. According to national information collected in 2006, UP produced 17.8% of all Bachelor’s degrees conferred in the country, 16.6% of all professional bachelor’s degrees, 29.4% of all master’s degrees, and 17.3% of all doctoral degrees. Visit University of Pretoria (UP) for more information.